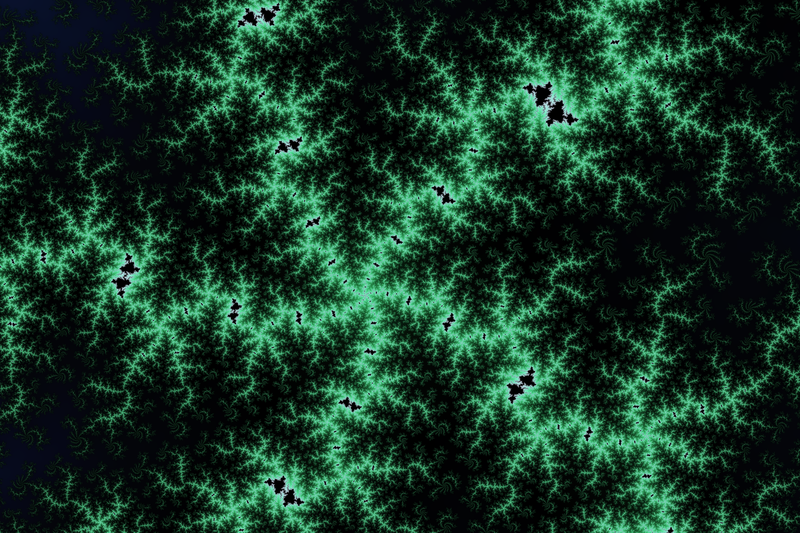 This entry was posted in Fractal Graphics, Mandelbrot Graphics, Math Art, Uncategorized. Bookmark the permalink. After a while of looking at this intensely, I came to the conclusion that this is no less than brilliant. It is clearly the viewpoint of one looking up at a green Aurora Borealis while in a dense forest of pine trees. Brilliant, absolutely brilliant.